Replete with rich poetic imagery and metaphor, Maitreya’s Sublime Continuum relates a profound and refined vision of the Mahayana. The Tathagata Essence clarifies the meaning of our buddha potential, in particular the emptiness of the mind that allows evolution to a state of complete enlightenment. Geshe Tenzin Tenphel explains the first chapter for the Basic Program at Lama Tzong Khapa Institute, Italy, with a focus on the fourth vajra subject, The Tathagata Essence, drawing from both the root verses and Gyaltsab Je’s commentary, to offer a concise and lucid explanation of this inspiring subject. 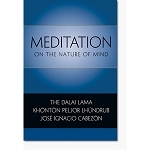 This product is a downloadable PDF file which contains the enrollment key required to access this Basic Program Online course on the online learning site at http://onlinelearning.fpmt.org. For more information about this program and its preparatory study and practice please go to the Introduction to Basic Program Online at the FPMT Online Learning Center. Important information about your order of Online materials: Following your purchase of an online course, you will be sent a link to a webpage where you can download a PDF document which will contain the enrollment key for the course and instructions on how to access the course on the FPMT Online Learning Center.